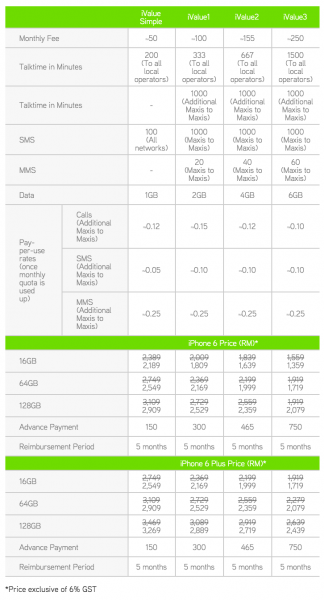 Want to get a new iPhone 6 or iPhone 6 Plus? Maxis is now giving an additional rebate of RM200 for all the iPhone 6/6 Plus models offered by the telco. 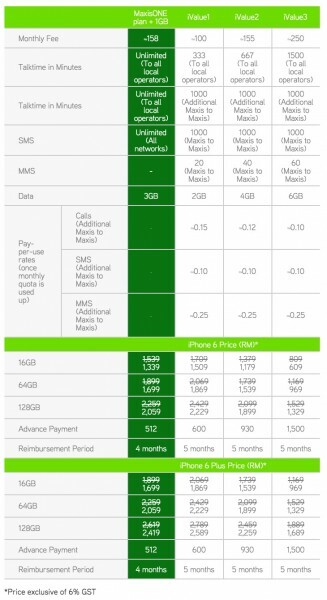 Available with a 12 or 24 months contract, the discount applies for all the different plans Maxis is offering the devices with – MaxisONE plan, iValue Simple or iValue 1 to 3. Starting from as low as RM50, all the plans comes bundled with data, calls and SMS, and is available for purchase immediately from the telco’s online store. As always, an upfront payment as high as RM1,500 is required for the bundles. The upfront payment will be reimbursed back to your monthly bill over the first 4 to 5 months depending on the package you pick. Sadly though, the offer is valid for a “limited time only” and Maxis did not provide any information about how long the promotion is valid for, so before you proceed, do check their website to make sure the additional RM200 discount is still available. Visit Maxis now for more information about its iPhone 6 and iPhone 6 Plus bundles.